designers | adaptifyed™ The Adaptifyed system for monetizing downloadable files is covered by U.S. patents: US9451011B2, US14318109, US15243350, and pending application: US20150007256A1. 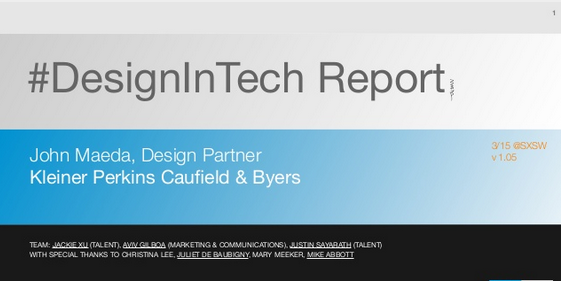 Admitting my bias since I’m a “designer and technology” Founder, I enormously thrilled by the 2015 report on Design in Tech. According to this new report from John Maeda of Kleiner Perkins Caufield & Byers, Silicon Valley, designer-lead companies are some of the most profitable and successful.